St. Brigid’s Day Festival / Lá Fhéile Bríde, originated from the Irish Embassy in London, is an annual celebration of Irish Women, which now takes place across the world at various Irish embassies, consulates and other Irish venues. 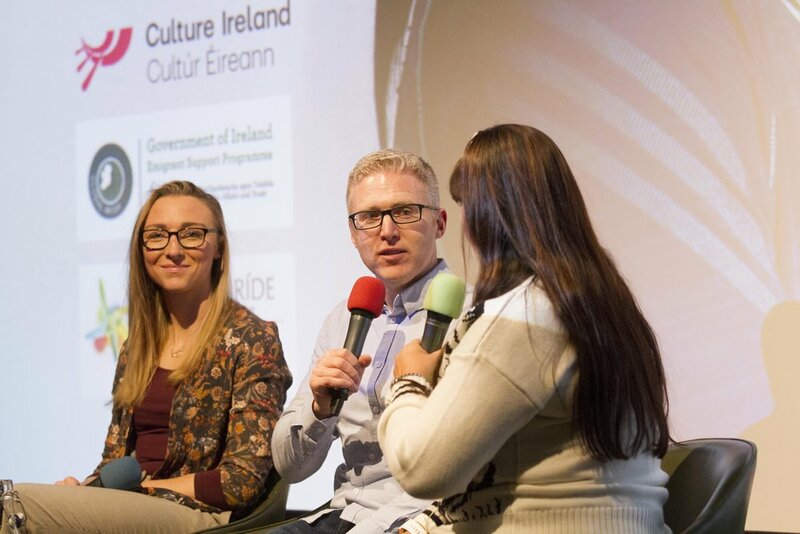 Irish Film London are a partner in the London festival, alongside the Irish Embassy, the Irish Cultural Centre Hammersmith and the Camden London Irish Centre. For our part in the 2019 festival we centred our focus on a cinematic celebration of Irish women. We started off with a city-wide collaboration, drawing various cinemas together to mark the week leading up to St. Brigid’s Day, by scheduling Irish films during their Mother and Baby screenings. These sessions are designed for mothers and babies, who are made to feel comfortable to breastfeed or to soothe their babies as necessary. Participating venues include Castle Cinema, Hackney and Olympic Cinema, Barnes. Then, on Sunday 3rd February, we have two fabulous events taking place. Bringing together the monumental forces of the UK & Ireland’s major networks for women in Film & Television, we celebrated some of Ireland’s most successful female professionals both behind and in front of the camera. We gathered at our cinematic home, and the birthplace of British cinema, Regent Street Cinema, for a Sunday afternoon fireside chat with a fascinating and fabulous panel of women from both networks, including Dr. Susan Liddy and Anne Morrison. They were joined by actress Eileen O’Higgins (Brooklyn, Mary Queen of Scots) and film, TV & new media producer Sienna Beckman. The panel was then followed by a networking reception at the cinema. 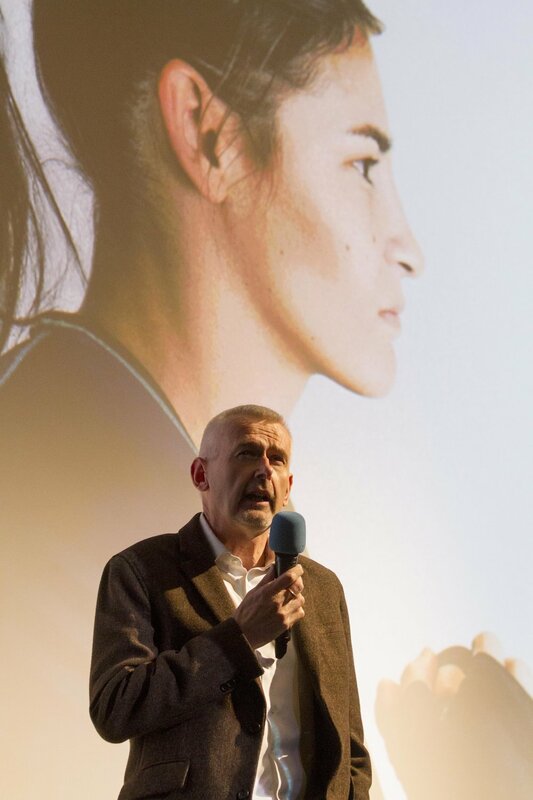 Finally, everyone got to sit back and enjoy the UK Premiere screening of Katie, the much anticipated film about the greatest female boxer of all time, Katie Taylor. This film is not just for sports fans. Far from it. The film explores the challenges of being a woman in a male dominated industry, being an Irish woman living abroad, and the personal journeys we face when forced to separate ourselves from family and mentors. KATIE is now available online! Katie Taylor has won six amateur European championships, five world amateur championships and is an Olympic Gold Medal winner from the London 2012 Olympic Games. She turned professional after a disastrous campaign at the Rio 2016 Olympic Games, which saw her crash out in the first round despite being favourite to win. The film unravels the deeply personal reasons behind the career low and shows the champions grit and determination to start over as a professional. Katie won her first world title within a year and became the first woman in history to headline her own Sky Sports show. She recently improved her perfect professional record to 12 straight wins with a shutout points win over the previously undefeated Eva Wahlstrom at Madison Square Garden in New York. The win saw Katie successfully defend her WBA and IBF World titles as she bids to become the undisputed World Lightweight champ in 2019. A Super Sunday like no other, this February 3rd was a fabulous celebration of Irish Women in London.